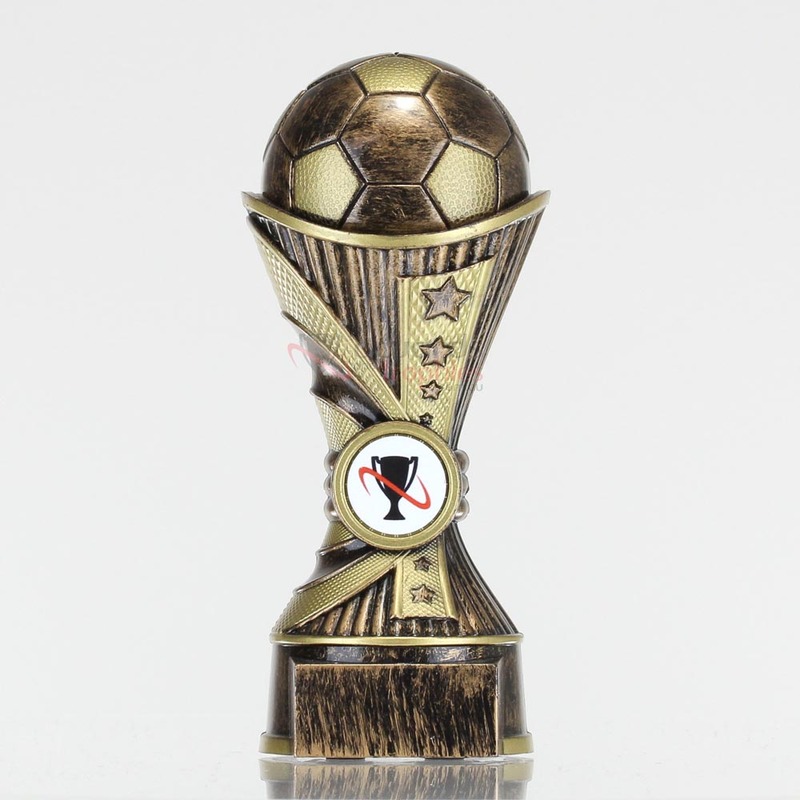 Celebrate a fantastic end to the season with this great resin soccer trophy! 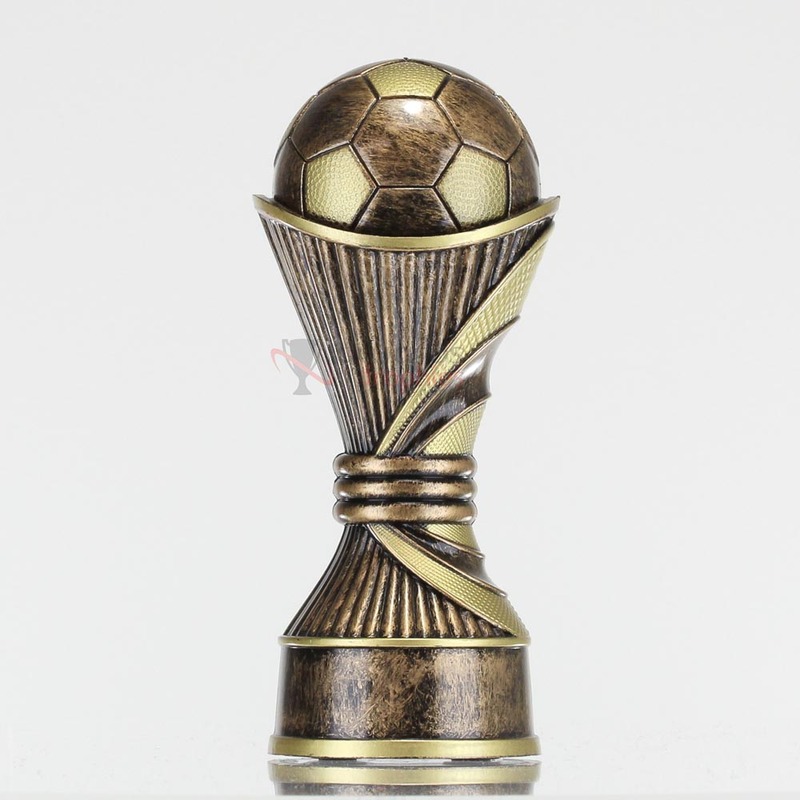 A gold football sits atop an abstract patterned column. This sporting resin would be great to award for Most Improved, Most Valuable Player, or as a participation award for everyone on the team! Why not add your Club Logo in colour? We can personalise this trophy by covering the generic shield symbol with your own Club Logo printed in colour on a 25mm disc.